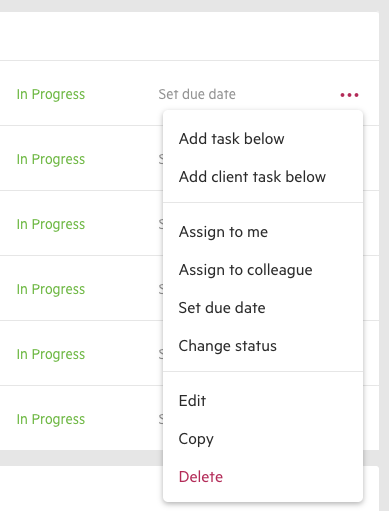 If you want to remove a task from a checklist or work item, you can easily delete it. To delete a Task, open the task's options menu "..." and select Delete. The task will instantly be removed.